Wedding day always brings surprises. No matter how much planning a bride and groom do before their special day, something is bound to come up that isn't exactly part of the plan. And as it turns out, Serena Williams has an example of her own. In the new documentary titled Being Serena, the tennis champion reveals her father and longtime coach Richard Williams decided one hour before the wedding that he wasn't going to walk his daughter down the aisle. "He was in New Orleans, he had a suit, and I know he was really excited," Serena said in the documentary via Vogue. "But then he wrote me and said: Serena, I don't want you to be mad at me, but I just can't walk you down the aisle. I'm not myself anymore. I'm just too nervous." Instead of freaking out or turning into a bridezilla, Serena remained calm and was supportive of her father's wishes and decision. "Daddy, it's okay, if you don't want to come to the wedding at all, that's okay too," she shared. "I'm not going to be upset with you about it, so I don't want you to be upset about it." While Serena acknowledges that some daughters may not have reacted the same way, she knew "the struggles" her dad had faced in recent years. And although his health was better, Serena knew he still wasn't his complete best. "If he doesn't want to be up there in front of a lot of people, I completely understand. Look, when we first came on the scene, there were a lot of people who didn't get him. I don't think a lot of them wanted to get him. I don't think a lot of him could have anyway. 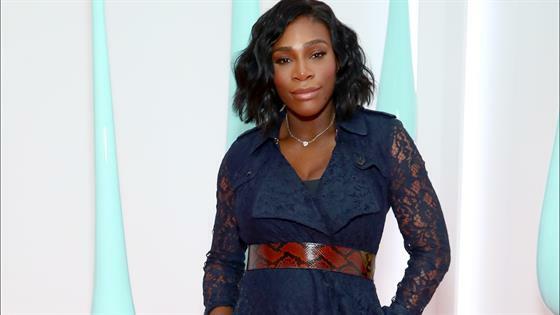 Our family knows what we have," Serena proclaimed. "We just want each other to be happy. That's what matters. I don't think anything could ever change that." Ultimately, the world-famous athlete said "I Do" to Reddit co-founder Alexis Ohanian in front of close family and friends including Venus Williams, Ciara, Russell Wilson, La La Anthony and many more. And yes, the couple's baby girl Alexis Olympia Ohanian Jr. was in attendance. Being Serena is a five-part HBO documentary that chronicles the tennis legend's pivotal journey in her life when she was pregnant, had a child, got married and came back to tennis. The project promises to be an intimate look at the athlete's private life amid great upheaval and tremendous joy. New episodes are available Wednesday nights at 10 p.m. on HBO.